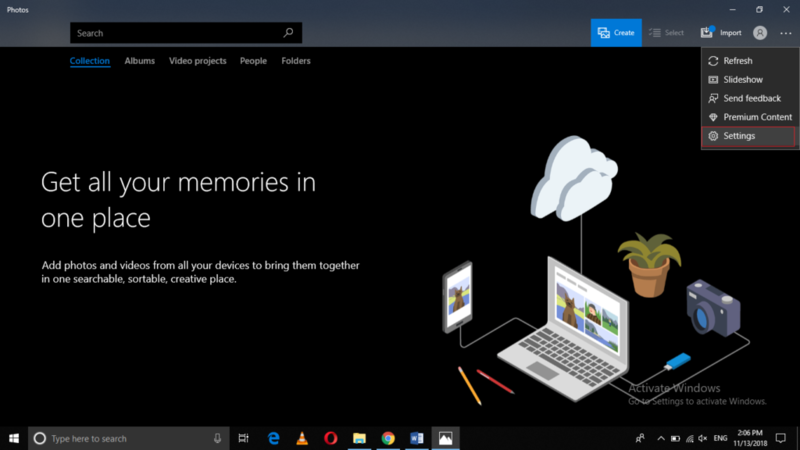 Just like many other customization features of Windows 10, it also lets you keep a dark themed Photos app. It depends on the user’s choice whether he wants to use the default system settings for the Photos app or he wants to modify the settings according to his own taste. 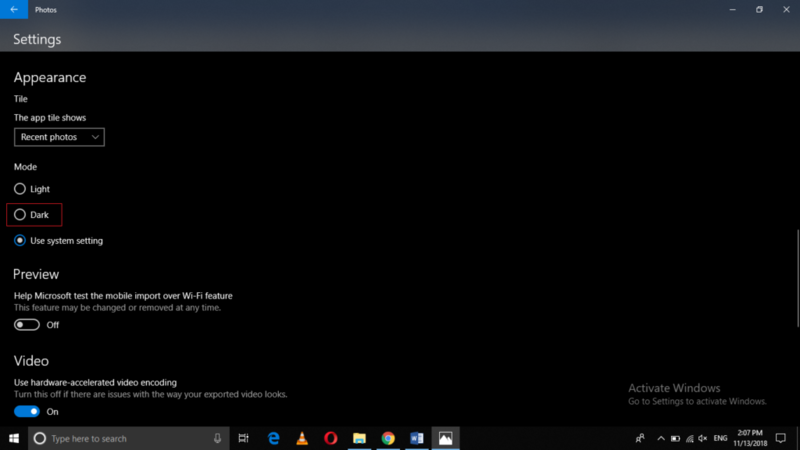 In this article, we will explain to you the method through which you can enable the dark mode in the Photos app on Windows 10. Click on the three dots located at the top right corner of the Photos app window as highlighted in the image shown above in order to launch a menu. After selecting this option, you will need to close your Photos app and then reopen it for the changes to take effect. 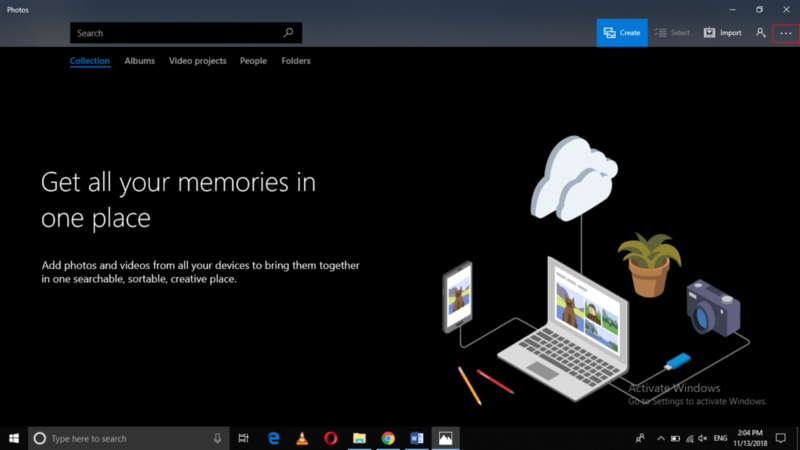 By following the method discussed in this article, you can easily enable the dark mode in the Photos app in Windows 10. However, if at any instance, you feel the need of restoring your default settings, then you can do this simply by selecting the radio button corresponding to the field saying, “Use system settings” under the Mode heading. Once you will close and reopen your Photos app after this, your previous settings will be restored.